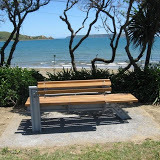 In 2009 Massey University School of Industrial Design students were given the challenge to design outdoor seating that would reflect Plimmerton’s unique character. Teams of students formed and the creative juices began flowing. Intensive briefing by council staff and residents was followed by design and consultation with Plimmerton community. Design concepts were presented by the students in Plimmerton and on a blog site which encouraged feedback on the different designs. 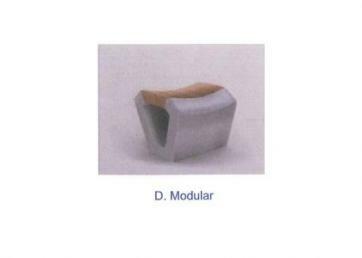 A period of design modification led to a second public presentation of refined models and allowed for more interaction between students and residents. 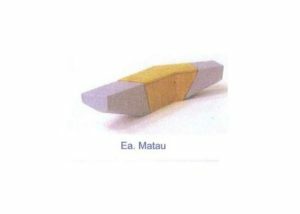 After many months of effort a winning design, Matau, was selected by public vote and academic staff assessment. The winning team shared a $1000 scholarship presented by the PRA. Matau was inspired by the shapes and textures of Maori fishing tools and waka. 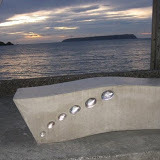 Because the waterfront in Plimmerton is very long and divides into zones with different geological, sea and weather conditions it was decided that different seats would work well in different locations. 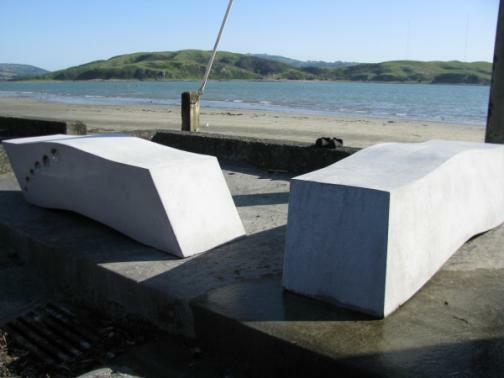 Matau seats will be placed around from the boat ramp in Beach Road to the Fire Station. Check out the location map. 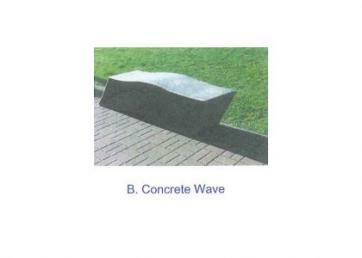 Another seat design finalist called, Wave, will have a simple concrete seat inlaid with paua shells and will be placed in several areas where the sea washes over the walls in high tides. 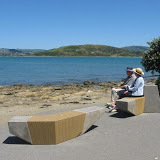 Other outdoor areas will feature macrocarpa picnic tables and bench seats with matching backed recliner seats. Selecting seats for the various locations has been tricky because of the very harsh marine conditions and has required a lot of expert advice and consultation. Dana seats will be installed in Karehana Bay and in the shopping area. Another Massey design, Modular, is going to be grouped on the paving on our cafe corner. 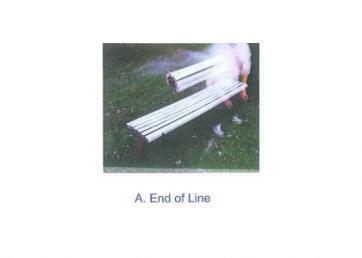 The first designs went into production in May 2010 and will be rolled out progressively and put into place during this year. 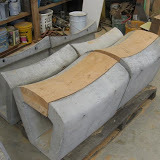 Seating is being sponsored by local residents and each seat will have a plaque acknowledging the generosity of a donor to the project … in a location as close as we can get to their first location choice. 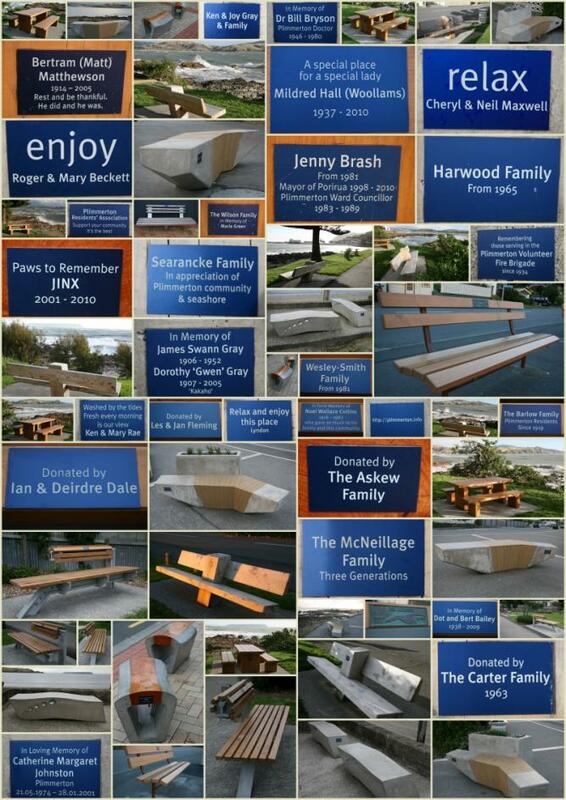 Our wonderful new seats now have plaques acknowledging the generous sponsorship by families in this community. In these tricky times the investment made by the seat sponsors is especially appreciated. Sponsors will receive professional photos of their plaques and seats which will be the work of talented local photographers. These can be emailed to family around NZ and in many cases the world. The seats have been so well used during this long lovely summer. The last group of seats… the ‘perch’ seats on the cobbled area on cafe corner… have just been installed and look fantastic. Thanks as always to Ian Barlow the village planning manager at PCC, Len Woodman and the team at Askew’s, landscape architect, Linda Kerkmeester, and the amazing Bernie Perano, for their sterling efforts. So many good people have worked together over a long period to complete this project…including the person who drove the idea along for years, Helen Chipper. Thankyou everyone!